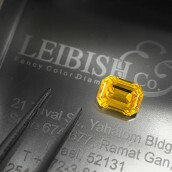 In the past, India was the main producer of colored diamonds, including blues. But since diamond mining is finite, India is running out of diamonds. Today, South Africa has taken the lead in the production of blue diamonds with its Pretoria mine, while grey-blue diamonds usually originate in Australia. 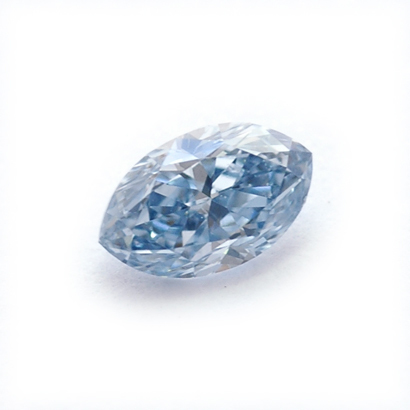 Since the natural blue diamond is highly uncommon, auction prices keep setting new records. 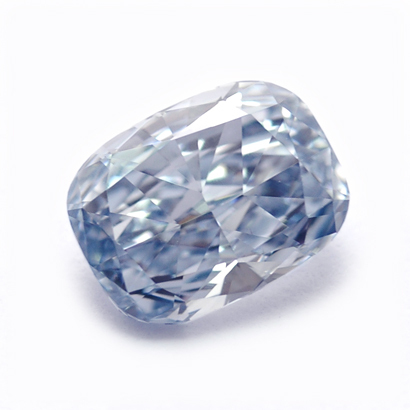 In 1995, a natural blue diamond was sold in a Christie’s auction for $569,000 per carat. In 2007, one of the rarest gemstones in the world, a 6.04ct Emerald cut, Fancy Vivid Blue, flawless diamond, was sold for a record price of $7.98 million in a Sotheby’s auction in Hong Kong, at $1.32 million per carat. It should be mentioned that although colored diamond prices are sometimes determined at auctions, it is important to remember such venues don’t always reflect the real market value. Sometimes, two collectors bid against one another and the end price tends to be unrealistic. Blue diamonds have always been a favorite among the rich and powerful. 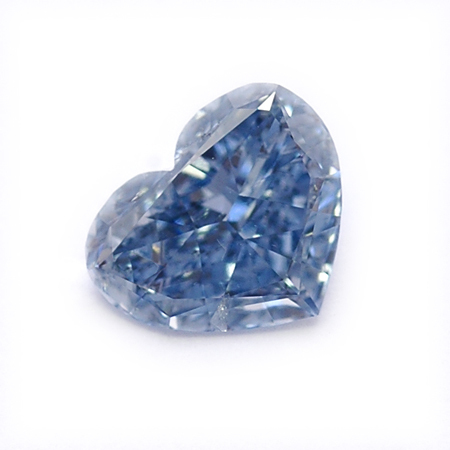 The blue fancy colored Hope Diamond, a 45.52 carat Heart shape gray-blue diamond, was the possession of King Louis the 14th, Marie Antoinette, and the American heiress, Evelyn Walsh McLean. Today, it is among the most valuable and sought after diamonds in the world, and is displayed at the Smithsonian Institute in Washington, DC. The blue color in the diamond is the result of trace impurities of the element Boron throughout the crystal structure of the diamond. 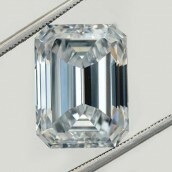 Typically, the color of these diamonds contains secondary colors, such as grays or greens. 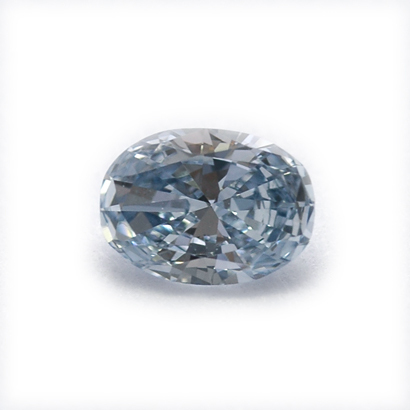 Natural blue diamonds have the ability to conduct electricity, unlike pure diamonds which are insulators. Although blue diamonds are highly sought after, they are so rare that it is very uncommon to find them in any jeweler’s collection and the deeper the color, the rarer the diamond is. Our collection includes blue diamonds of Light, Fancy Light, Fancy, Fancy Intense, Fancy Deep, Fancy Dark and Fancy Vivid Blues. The average price appreciation can vary between 15% and 20% a year. There are more buyers than sellers today, which makes it an interesting market in which there is virtually no new supply available. 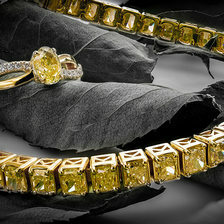 Prices rise, and supply is limited, making these diamonds especially desirable. Many people wish to invest in a blue diamond, which motivates many jewelers to enter the business, pushing prices up even more. The blue diamond market has always been strong, stable, and worthy of investment. The market has an insatiable appetite for fancy colored diamonds in general, and blues in particular - especially since they are among the rarest of colors. 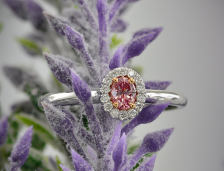 This makes them one of the highest valued classifications of natural colored diamonds, along with purples, greens and reds. Not only are they beautiful, but blue colored diamonds are a one-of-a-kind asset, experiencing no price depreciation and presenting one of the most unique investment opportunities. Contact our team of professionals for assistance or consultation, and we will guide you through all the possibilities in diamond investments. To read about pink diamonds as an investment. To read about diamonds as an investment. Read more about blue diamonds.